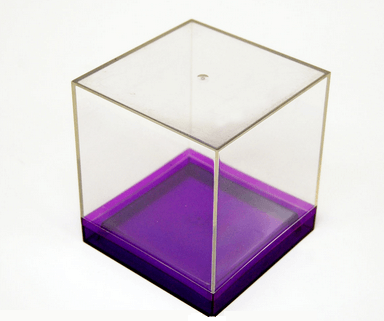 Solve organizational issues with these Large Box Canisters with Colored Bases. 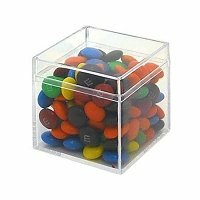 This candy container is the perfect storage solution that will organize your larger products efficiently and gets noticed quicker at your check out lines when filled with sweet treats. These bins with lids are ideal to use for yummy candies, small crafting items, short hardware materials and much more. This is a fun way to color code the twin's hair accessories, toothbrushes, and cosmetics as well. Color coordinate these large bins with your established theme by choosing bases available in four different colors. simply click the following to view other sizes available: small, medium, large and extra large. Give your counter top or business a stylish upgrade with a new look when your use these colorful lidded canisters. A best seller product that you can purchase today!